"You'll be wowed by this remodeled Universal City bungalow. Features include crisp white cabinetry, laminate floors, fresh paint and nicely updated bath. 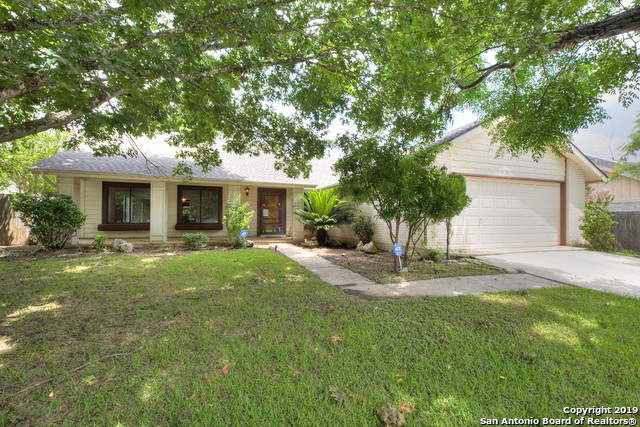 Close to Randolph Air Force base, I35 and 1604, shopping, restaurant, library and park. 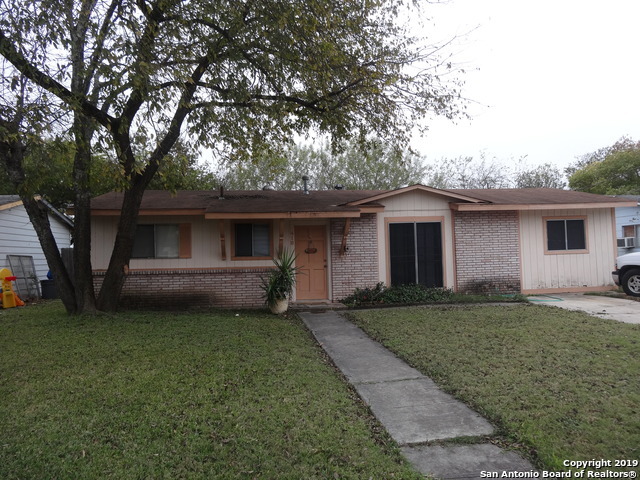 This would make a great investment property or starter home and location is ideal!" 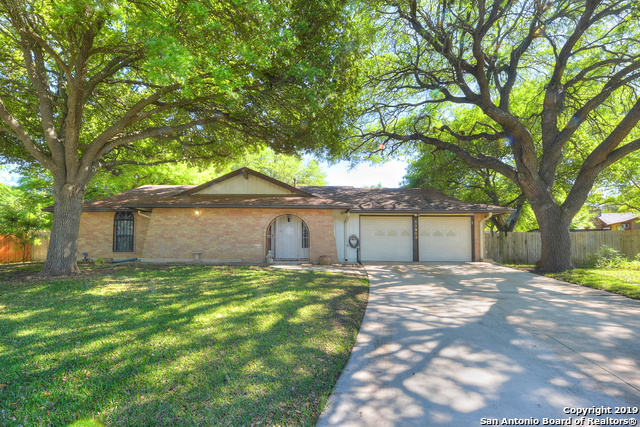 "Great location close to Randolph Brooks AFB and major highways (35 and 1604). Cozy home with central air and ceramic tiles in all rooms. All appliances stay, including refrigerator, washer and dryer. Nice backyard with storage shed." "This is a gorgeous newly remodeled home. 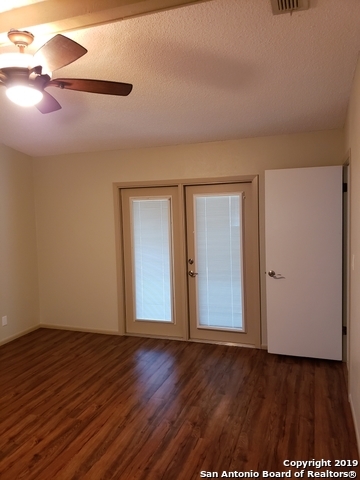 It features 3bd, 1ba, with new flooring, fresh paint, new cabinets, granite countertops and backsplash. New dish washer included. Conveniently located next to RAFB. Easy access to highway, shopping, and restaurants. Welcome to your new move in ready home!" "GREAT OPPORTUNITY for first time home buyers, investors or DIY flippers! 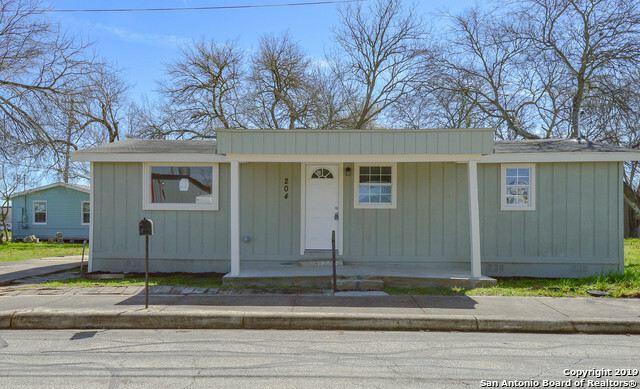 This cute & quaint home has 3 bedrooms with 2 bathrooms. Large fenced back yard and nice trees." "Lovely well maintained single story 3/2 that is move-in ready. Enjoy a cozy fire in stone fire place in the family, dining, kitchen area. Home is equipped with wheel chair ramped-access, bathroom grab bars, and tall commodes. Master bedroom has exterior access to a wood deck. Patio slab off of kitchen. Dusk to dawn lights for security on the exterior. RUUD HVAC that has been serviced twice a year. Location convenient to Randolph AFB, Ft Sam and the Forum Shopping Center. Neighborhood roads re"
"Sale due to illness. 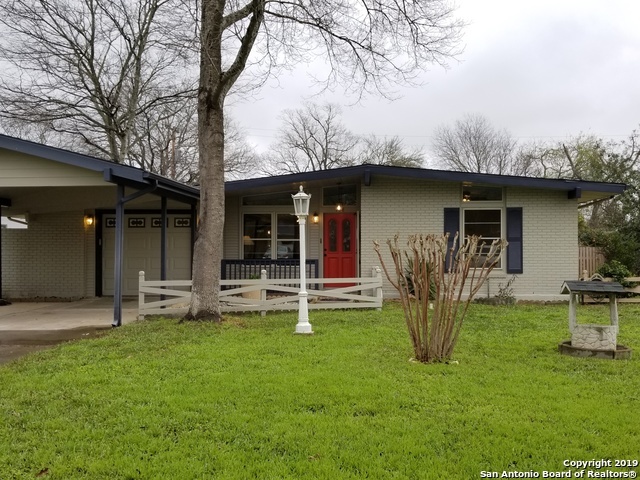 Seller currently still lives in home so respectfully request you not walk around property but call you agent for an appointment or call listing agent directly. 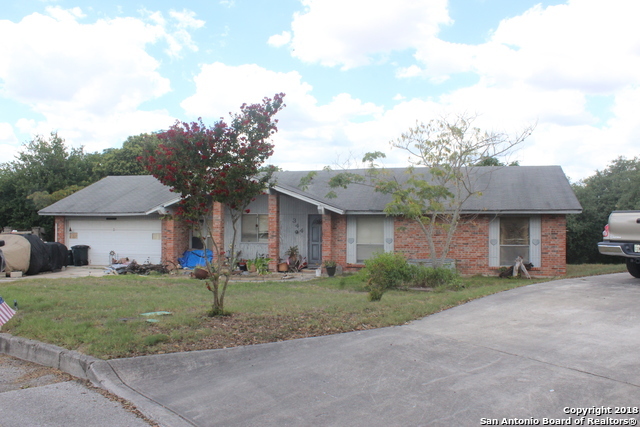 Home needs some repair however home sits on a great lot and is wonderful one story floor plan. Desirable school district." "Come and see this charming home with 1960's flair and open concept living. New flooring, baseboards, new paint inside and out and other recent updates in 2015. HVAC and master bathroom updated in 2012. New fence and storage shed in 2017. Conveniently located near Randolph Air Force Base. Boarded up properties around home will be torn down, so more Green space coming soon, Don't miss out on this GEM"
"Awesome modern kitchen remodel ! new appliances , granite counter tops, new cabinets, vent hood, light fixtures. This home features a great dining area with a high ceiling and a nice size laundry area. New doors including the front door, new AC, paint, laminate flooring, and blinds and no carpet !! Nice size fenced yard . Close to shopping, restaurants, library and park. Shows great ! 1104 square feet as per owner." 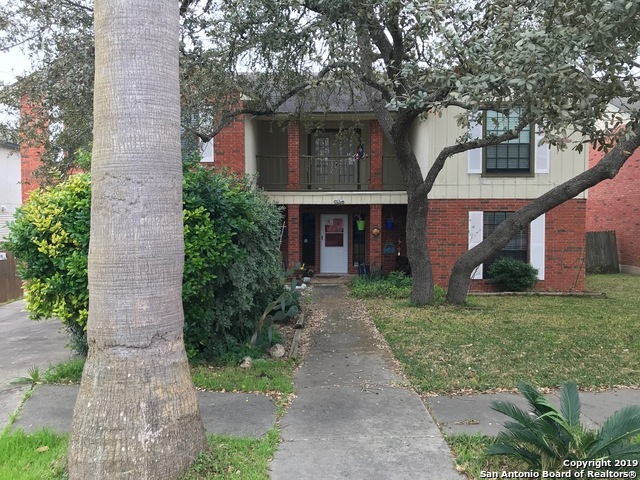 "This lovely 3 bedroom, 2 bath with converted garage has a great open layout with high ceilings!!! In-ground pool for those hot summer days! This home has over 1,809 square feet. This is a must see home today!!! You will be close to IH35, 1604, RAFB, Ft Sam, and the Forum Shopping Center. This home will not last long!!!" "**RECENTLY REMODELED IN DESIRABLE UNIVERSAL CITY!!! 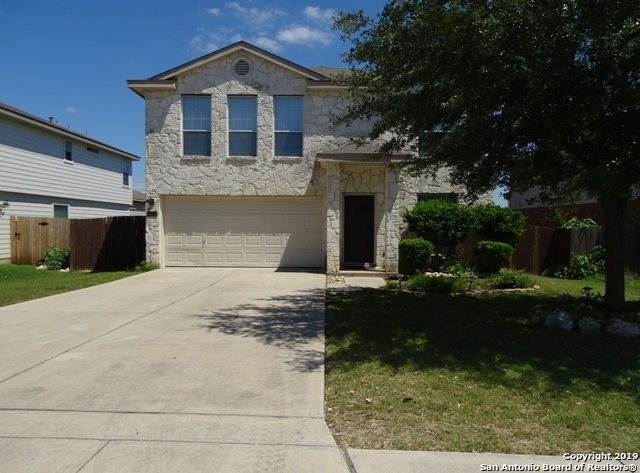 ** Open floor plan- New roof- Fully updated bathrooms- New appliances- New carpet & tile- Quartz in kitchen- New paint in & out! Only minutes from the Forum Shopping & dining, Randolph AFB, Fort Sam Houston, I 35 and 1604!!! DON'T WAIT, THIS WONT LAST LONG!!" "4 sides brick home with a large yard. 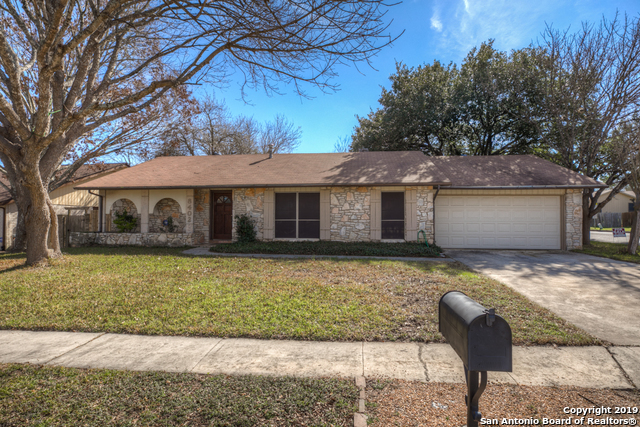 The home has been recently updated with new carpet and interior/ exterior paint. The cabinets in the kitchen have been beautifully painted and the counters resurfaced. This has a second large living area which is not common for 1 story homes. The forth bedroom has double doors that open to the master suite. It could be used as an office or a nursery or the doors close to make it a standard bedroom. There is a huge brick fireplace in the family room."